We're one of the largest regiments in the entire Napoleonic Wars community and one which has stood strong for over six years. Very few can claim such an achievement. Experience an authentic atmosphere of the British Army during the Napoleonic Wars and recreate the formations and drills from that era in-game. Stand shoulder to shoulder with the most disciplined and organized soldiers in the community! 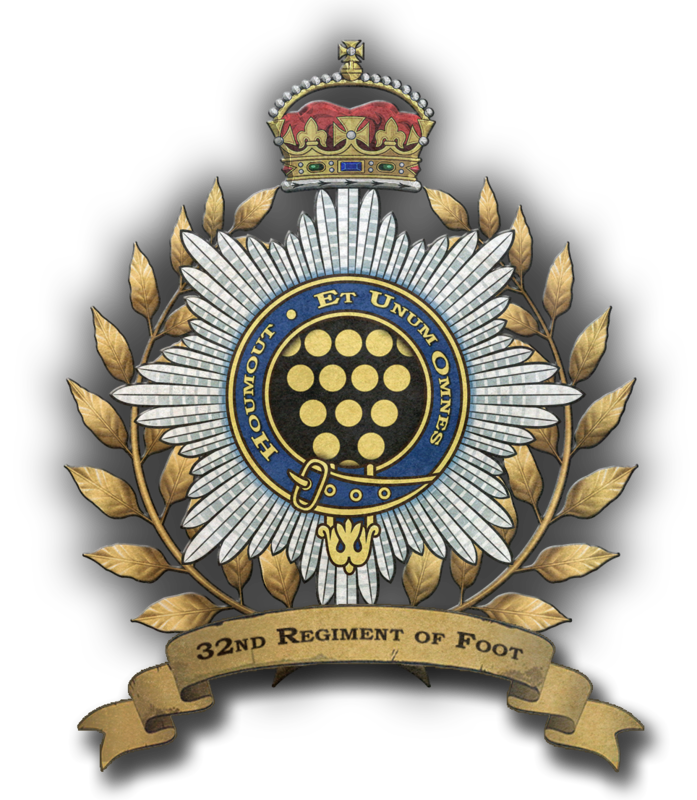 The 32nd is renowned for the quality and skills of the people who serve in it. Do you want to rise through the ranks? Whether you apsire to become an officer and lead troops into battle or even remain an enlisted man and fight in the ranks, our experienced and skilled staff are here to support you on your journey in the regiment. Does your skill lie with the bayonet, the baker rifle or the cannon? The 32nd is proud to provide a line company, Light company and an artillery battery to its members. The choice is yours of where you want to make your mark! Voluntary attendance! We do not strictly enforce your participation to our events. Join us when you can in the ranks! Be part of a large and diverse community of enthusiasts, not just for the Napoleonic era but for gaming in general! We are incredibly proud of the strong friendships and bonds between our members and in the community. When we're not fighting the French, our members are playing a whole host of games together. You must own Mount & Blade: Warband and the Napoleonic Wars DLC. A strong understanding of and the ability to communicate in English. Teamspeak 3 must be installed on your computer. This is the programme we use to communicate with each other. Don't worry, it's free to download. We do not allow multi-clanning therefore, you must not be part of another Napoleonic Wars regiment or group. Your enlistment will only be accepted once you have left. To become a Non-Commissioned Officer or a Commissioned Officer within the regiment, you must have a working microphone. Enlisted men are not required to be able to speak and may use the in game text chat.